After installing CMS Made Simple manually or via Softaculous (free with our Shared Website Hosting plans), you'll want to know how to reset user passwords without the Forgot your password? option. Below we cover how to reset user passwords in the CMS Made Simple dashboard. 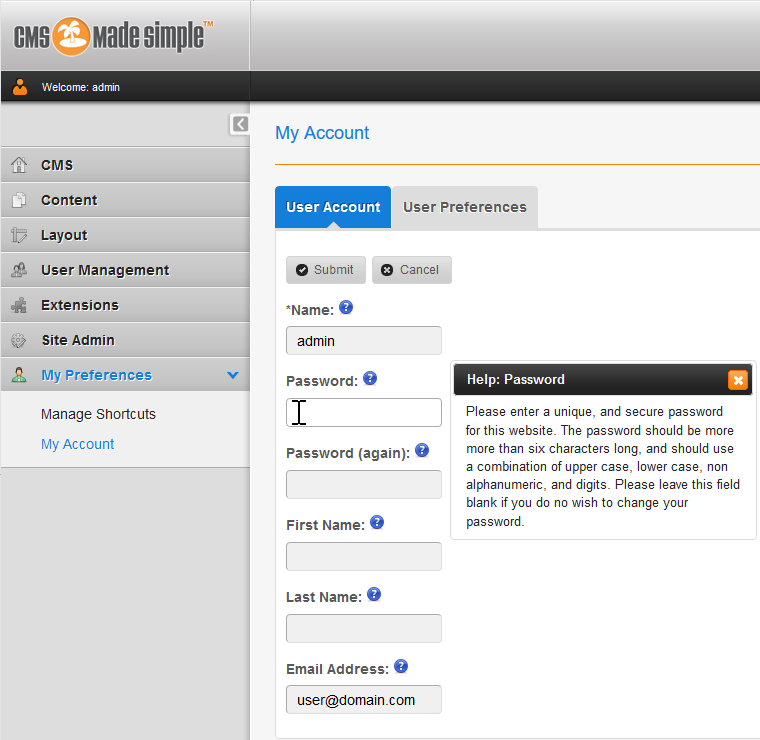 Log into CMS Made Simple. In the upper-right corner, click the gear icon. Type your password twice and click Submit. You'll see a notification stating User account has been updated. On the left, click User Management, then Backend Users. Click the user name to edit. Type the new password twice. Click Submit at the bottom. You'll then see a notification stating Edited User. 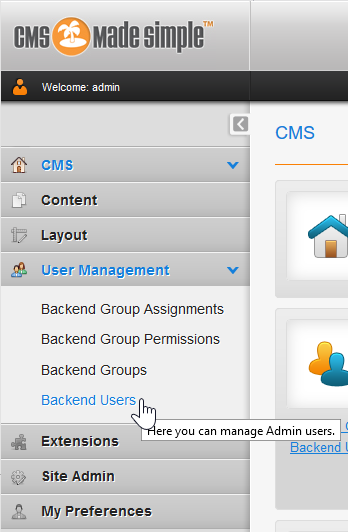 Learn more about CMS Made Simple in our Support Center.